Treasure Chest Thursday - Where Am I? Looking for that Perfect Florida Condo? Today is National Young Readers Day! It's Bittersweet Chocolate with Almonds Day! Today is Job Action Day! she did have her rare moments of genius. This was one of those dishes that Mama was far surpassed her usual in! And one which she seldom made, leaving it for holidays or special occasions. As for me….I try to make it often. Why? Because it’s cheap. And easy. Two things that make any dessert desirable. But more importantly…it’s absolutely delicious!!! 2. In a large bowl, mix the butter, sugar and vanilla together. 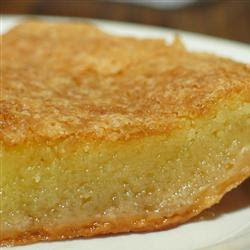 Mix in the eggs, then stir in the cornmeal, evaporated milk and vinegar until smooth. 3. Bake for 10 minutes in the preheated oven, then reduce heat to 300 degrees F (150 degrees C) for 40 minutes. Let cool. Cut and top servings with whipped cream. ...and asked you to tell us where it was taken. 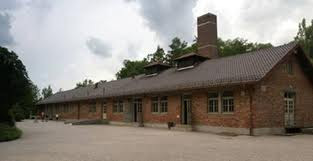 The concentration camp at Dachau, upper Bavaria, Germany. This was an historical tour that touched me like none other in my life. There was a feeling of deep despair as you entered the compound. Worse, was the pervading sense of evil that overshadowed everything else. I will never, ever forget this place. Another photograph taken during my travels. Can you guess where this photograph was taken? Leave your answer below, and I'll post the correct answer tomorrow. My five children, my ex-husband and I in November 1984. The oldest was 5. The youngest was 3 months. Taken at my parents after Thanksgiving, in Gap Mills, Monroe, West Virginia. 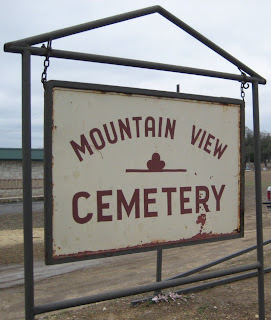 Mountain View Cemetery, Kerrville, Kerr, Texas. Scavenger Hunt at Grandma’s House! Genealogy Insider brings us some great activities to introduce the kids to genealogy! Elyse’s Genealogy Blog gives us compelling reasons why we should be a part of a genealogy society. DNA Testing for Genealogy – Getting Started is Often the Hardest Part! UpFront with NGS brings us part three of this informational article. Ask a Genealogist brings us this wonderful alternative use for a genealogy program! Johnnie Lee HENRY son of Joseph Wright HENRY and Betty Louise Rotge was born in San Antonio, Bexar Co, TX. Cynthia Ann BEANE daughter of Walter Maxwell BEANE and Lois Velleda DREHER was born in New Albany, Floyd Co., IN. Johnnie Lee HENRY and Cynthia Ann BEANE were married in Covington, Alleghany Co., VA.
Joseph Wright HENRY and Betty Louise Rotge were married on 30 Jul 1947.
died on 09 Jun 1983 in Kerrville, Kerr, Texas. 1914 in Bandera, Edwards, Texas. She died in Aug 1982 in San Antonio, Bexar, Texas. John Cornelius ROTGE and Ora Lee Sparks were married in 1930. 11 Mar 1883 in Erath County, Texas. He died on 12 Sep 1944 in Kerrville, Kerr, Texas. Home, 7602 Louis Pasteur Dr., San Antonio, Bexar, Texas. 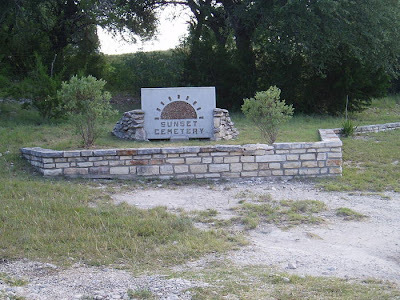 William Jacob Sparks and Laura May Clements were married on 15 Apr 1906 in Bandera, Texas. Feb 1858 in Nacogdoches County, Texas. He died on 16 Apr 1924 in Bandera County, Texas. 03 Apr 1863 in Duffau, Erath, Texas. She died on 09 Jan 1944 in San Antonio, Bexar, Texas. Newton Caddell Sparks and Theodora Perrylee McCarty were married on 12 Feb 1880 in Texas. Sep 1836 in Mississippi. He died on 20 Apr 1909 in Safford, Graham, Arizona. Jan 1913 in Safford, Graham, Arizona. Georgia. He died about 1838 in Nacogdoches County, Texas. 113. Mary Caroline WADLINGTON was born in 1823 in South Carolina. James H. Sparks and Mary Caroline WADLINGTON were married in 1835 in Mississippi. 448. Matthew Sparks son of William Sample Sparks and Mary Courmon. He died in Nov 1793. 449. Sarah Thompson daughter of Thomas Thompson and Elizabeth Surdurth. She died on 23 Aug 1831. Matthew Sparks and Sarah Thompson were married in 1754. 896. William Sample Sparks. He died in 1765. William Sample Sparks and Mary Courmon were married on 24 Aug 1732. As you can see the earlier generations of this line are incomplete, and have not been researched by myself. Readers should be aware that these earlier generations are copied from ‘family provided trees’, and have not been verified. Here's a family favorite - especially during the holidays! 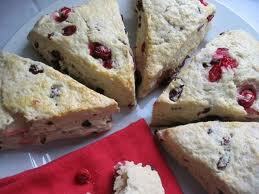 Great for breakfast, or with tea anytime! Preheat oven to 400°F. Lightly spray 3 baking sheets with nonstick cooking spray. Combine the flour, 1/3 cup sugar, the baking powder and baking soda in a large bowl. Cut in the butter with a pastry blender or 2 knives until coarse crumbs form. Stir in the cranberries and white chocolate chips. Add the yogurt. Stir to combine. Drop the dough onto the prepared baking sheets, 1/4 cupful at a time. Lightly flatten the dough with the bottom of the measuring cup. Brush the tops with the milk. Sprinkle the tops with the remaining sugar. Bake until lightly golden, 15–20 minutes. Serve warm or at room temperature. 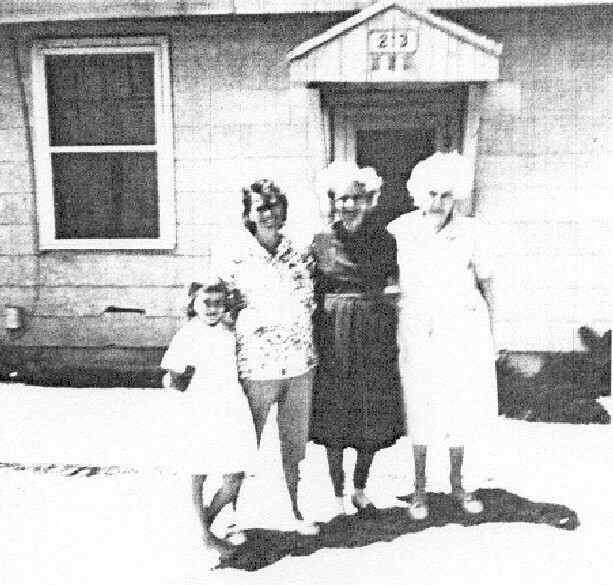 My dh's little sister, his mother, grandmother and great-grandmother. Laura May Clements was born 12 May 1890 to James Thomas Clements [1843-1897] and Anne Caroline Tennille [1858-1936]. She was the 8th born of 11 children to this family. The couple divorced and in 1930 Laura May married Zachiria T. Langford [1894-1962]. After this marriage, Laura May married yet again, to an unknown with the last name of Clewis. The last two marriages ended in divorce. 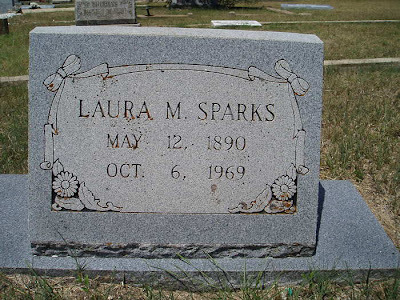 Laura May died on 6 Oct 1969 in San Antonio, Bexar, Texas. Mountain Home, Kerr County, Texas. Laura May was my dh's great-grandmother. He grew up with her in the home. She was lovingly known as "Big Grandma". Vandalism in Cemeteries Seems to be Running Rampant -- What Can We Do? UpFront with NGS brings us this update and what we can do about the problem. StarTribune brings us the story of an unexpected find. The In-Depth Genealogist brings us this great story. The In-Depth Genealogist brings us this article on how DNA determines a little more about us. Genea-Musings brings us this update. World War History Online brings us this fascinating discovery. Genealogy Blog brings us this news. 2. Joseph Wright HENRY son of William Lee HENRY and Emma Louise PETTIE was born on 20 Sep 1927 in Fulton County, KY. He died on 16 Nov 1993 in Batesville, Panola, Mississippi. 3. Betty Louise Rotge daughter of John Cornelius ROTGE and Ora Lee Sparks was born on 30 Aug 1930 in Kerrville, Kerr, Texas. She died on 05 Jul 2003 in Jourdanton, Atascosa, Texas. 6. 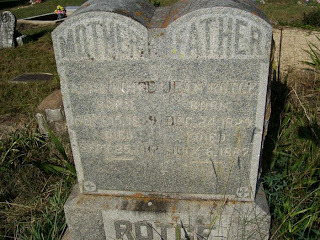 John Cornelius ROTGE son of Peter ROTGE and Lillie Mae Surber was born on 16 Jan 1910. He died on 09 Jun 1983 in Kerrville, Kerr, Texas. 7. 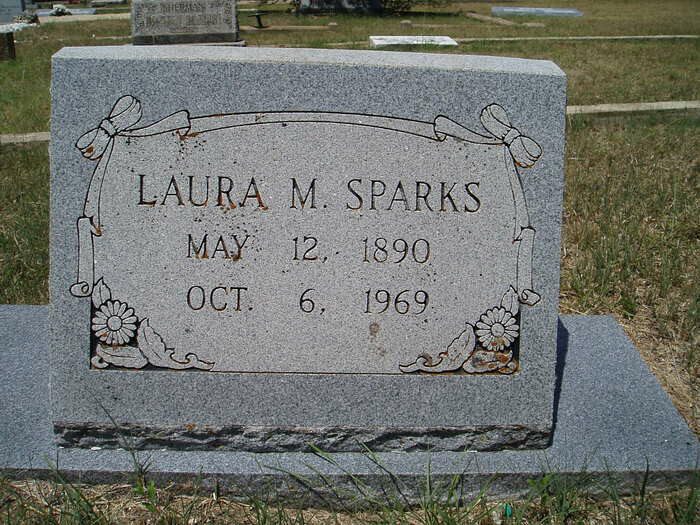 Ora Lee Sparks daughter of William Jacob Sparks and Laura May Clements was born on 26 Oct 1914 in Bandera, Edwards, Texas. She died in Aug 1982 in San Antonio, Bexar, Texas. 14. William Jacob Sparks son of Newton Caddell Sparks and Theodora Perrylee McCarty was born on 11 Mar 1883 in Erath County, Texas. He died on 12 Sep 1944 in Kerrville, Kerr, Texas. 15. Laura May Clements daughter of James Thomas CLEMENTS and Anne Caroline TENNILLE was born on 12 May 1890 in McCullough County, Texas. She died on 06 Oct 1969 in Hilltop Convalescent Home, 7602 Louis Pasteur Dr., San Antonio, Bexar, Texas. 28. Newton Caddell Sparks son of William Noble Sparks and Martha Elizabeth Caddell was born on 16 Feb 1858 in Nacogdoches County, Texas. He died on 16 Apr 1924 in Bandera County, Texas. 29. Theodora Perrylee McCarty daughter of Jacob McCarty and Nancy Elizabeth Meyers was born on 03 Apr 1863 in Duffau, Erath, Texas. She died on 09 Jan 1944 in San Antonio, Bexar, Texas. 58. Jacob McCarty son of Jim McCarty and Nancy Fike was born on 21 May 1834 in Tippah County, Mississippi. He died on 02 Apr 1883 in Duffau, Erath, Texas. 59. Nancy Elizabeth Meyers was born on 05 Sep 1838 in Alabama. She died on 04 Dec 1918 in Duffau, Erath, Texas. I've heard this called 'redneck cranberry salad' and 'cheating heart salad'. By whatever name you decide to call it, it is simply put, one of the most flavorful, and versatile, cranberry salads you can make. I make this every year for both Thanksgiving and for Christmas. 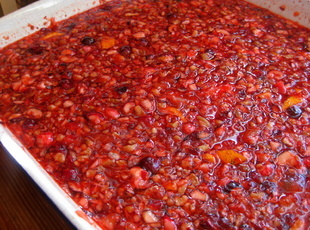 We sometimes also make traditional cranberry sauce, but my family really prefers this! Boil the cup of water. Dissolve the jello in the hot water in an 13 x 9 in square pan mix well. Add the sugar, lemon juice and pineapple juice. Stir to dissolve well. [I use either a very large salad bowl or serving bowl, that can then be placed directly on the table or buffet during the meal and looks nice. I have even placed this is a trifle bowl, where it can be viewed for how lovely all the ingredients looks. Add the remaining ingredients and mix. Chill overnight. You can serve this dish with your savory meal, as the salad, or if you top with a little whipped topping, it even makes a sweet and tart dessert! Were you able to guess? 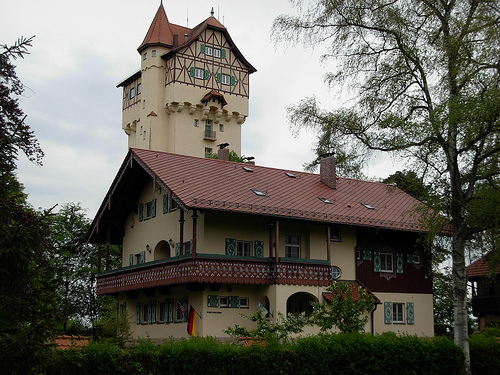 Most US Army individuals in the field artillery units who ever spent any time at all in Germany will quickly recognize the tower clock and post chalet at Grafenweohr, Germany. 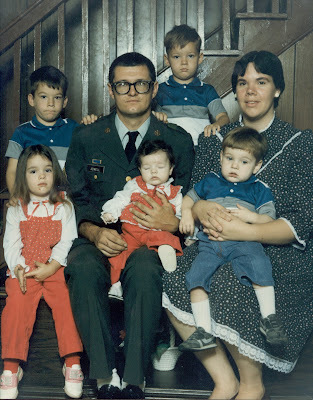 A field training post when I was there as an Army wife from 1979-1981, the largest permanent population of the post was the dependent sector. Vast numbers of troops from all US and allied forces train year round on this post. The tower and chalet are widely recognized, and nearly everyone when returning home to the states brings either a photograph or replica of the tower and chalet back with them. Who wouldn't love to get away from the cold of the northern winters and settle into a warmer clime? I'm certainly not going to say I wouldn't, when I would kill for a nice home in Florida! Well, I may have found the perfect place to locate just that home! This website has the perfect luxury oceanfront condo at Bellaria as well as a lovely oceanfront residence on Fisher Island, Florida. And if you're looking for the ultimate, there are even luxury oceanfront condos at Apogee in South Beach. Yep, I have a feeling that the shopping will be easy now! And paradise... well, it's a lot closer than I ever dreamed! Each Thursday I am posting a picture of my travels, and am asking you, the readers, to identify the place where I am. And you are all well traveled! So far nearly every place has been identified! So, here is this week's photograph. Can you tell me where in the world I was when taking this shot? Leave your answer in the comments below. Then be sure to check back tomorrow to see if you were correct! 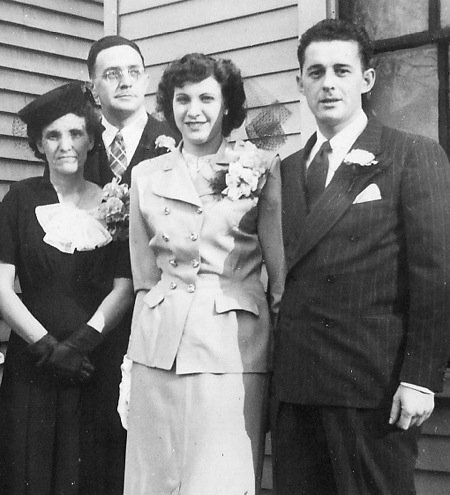 On the occasion of Ethel and Paul's marriage. Irene and Henry are my grandparents. Ethel and Paul my aunt and uncle.